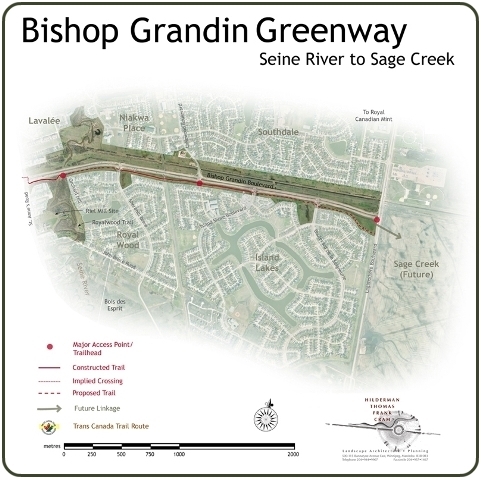 The multi-use trail heading east towards the Sage Creek development was completed in 2010, and the trailwest towards the Waverley West neighbourhood was started in 2010 and should be completed in 2011. 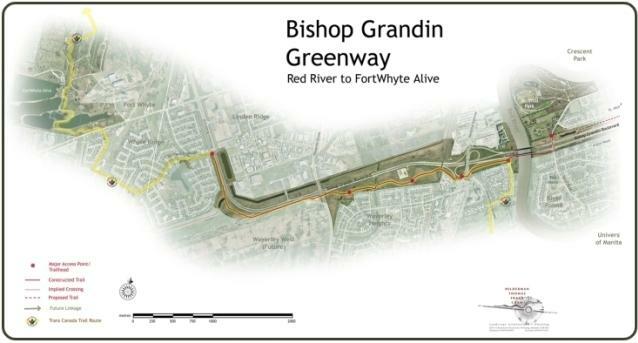 It connects with the Trans Canada trail and will eventually join up with trails along McGillivray Blvd. 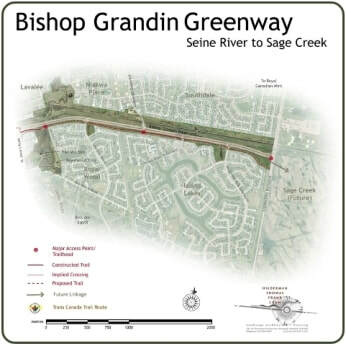 and Sterling Lyon Pkwy. to form part of a city-wide active transportation network. 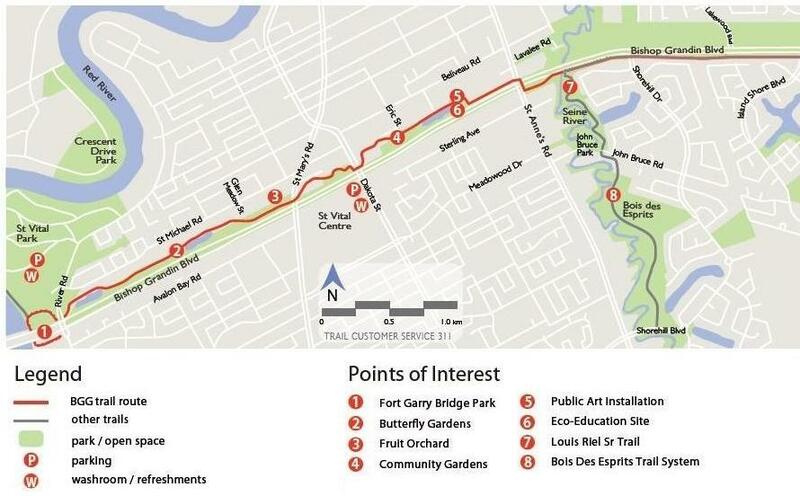 For more detail visit Winnipeg Trails.